Every engineer and MRO manager knows that hygiene is a big part of equipment design. Hygienic design plays an important role in ensuring that the final product is microbiologically safe while retaining high quality. Companies with hygienic factories need to ensure that every product has a low number of microbes and are especially protected from any microbe that may carry a toxin or residues from cleaning chemicals or disinfectants. Plants and facilities that handle food must take extra steps to protect all food products from contamination, and instill hygienic processes to eliminate potential contamination from non-food substances like lubricants, coolants, and anti-microbial barrier fluids. Food products also face potential contamination from foreign bodies and substance like plastic, metal, and packing material, as well as insects and rodents. The risks of contamination from foreign bodies and pollutants and the problems they create can be expensive and complicated; they cause product recalls in some cases, or in even worse scenarios, legal complications. Any of these carry tremendous implications on processes throughout the enterprise. With such high contamination risk to companies with hygienic plants and facilities, it is critical to know what guidelines to follow to protect your business from any and all complications and expenses accrued by any potential negligence in any scenario. 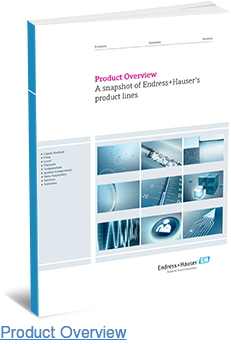 The new eBook from Endress+Hauser, What makes an E-Direct Product Hygienic, identifies many of the risks and costs associated with hygienic processes. In industries where companies work with hygienic applications, such as biotechnological enterprises manufacturing health care products, agriculture, and petrochemical firms, safety from contaminants is a significant concern. For companies manufacturing food products, there are a number of food safety standards and guidelines they need to follow. 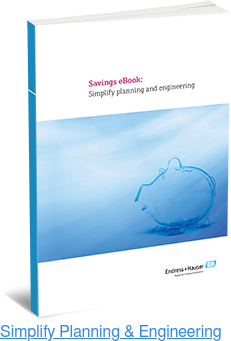 Endress+Hauser’s eBook provides a comprehensive introduction for regulations both in the U.S and Europe. For Europe, the Endress+Hauser eBook introduces a number of directives and mandates having to do with food hygiene and the conditions under which they are handled. The Endress+Hauser eBook goes more in-depth with U.S. regulations and guidelines. It introduces and provides links to various regulations and directives from the U.S. Food Safety and Inspection Service, highlights the “Federal Meat Inspection Act” and “Poultry Products Inspection Act”—each of which set clear guidelines for food safety and hygienic handling of food—and shows how you can find out basic food handling instructions in almost any scenario. 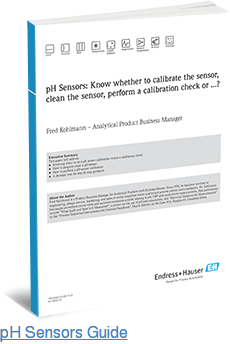 Endress+Hauser’s eBook also includes a list of technical specifications that all hygienic requirements affect. These can span processes and equipment in almost any food handling or biotechnical industry. Hygienic preparedness is then illustrated by introducing a number of Endress+Hauser products that greatly help prevent you from complications and expenses related to contaminants. These products include transmitters like the Cerabar T PMP 135, which are designed to measure absolute and gauge pressures in hygienic processes. Find out much more about hygienic applications and products in Endress+Hauser’s new eBook, What Makes an E-Direct Product Hygienic? Visit Endress+Hauser today for solutions to all your hygienic process needs.